C.S. Warthman Furneral Home Inc. has a long history of providing memorial services in Union City, PA. In 1912, Marvin Cooper opened the Cooper Funeral Home at 69 North Main Street in Union City. His small establishment provided for funerals at the deceased’s residence, as was the custom in those days. In the early 1920s, Arthur L. Crowe joined the firm and by 1924, he had become partners with Marvin, forming the Cooper-Crowe Funeral Home. By 1929, Marvin Cooper was ready for retirement and sold his interests in the funeral home to Art Crowe. The funeral home was renamed the Arthur L. Crowe Funeral Home. Art Crowe’s unexpected death in 1945 led to the funeral home being sold to Harry L. Musser and the renaming of the establishment to the Harry L. Musser Funeral Home. Harry saw the need for additional ambulances within the community and started operating an ambulance service with the funeral home. He continued the ambulance service until the Union City Fire Department instituted the Union City Ambulance Service. With fewer families wanting to have visitation for a funeral in their home, Harry quickly saw the need to expand the funeral home facilities. In 1954, he added a back office and additional living space to the funeral home. Needing more room, Harry built a larger chapel and visitation room in 1965. He operated the funeral home until 1977, when he sold his interest in the business to C.S. (Sax) Warthman. The funeral home was renamed the Musser-Warthman Furneral Home. With Harry’s death in 1979, Sax Warthman and his wife C.L. (Connie) Warthman continued the funeral home tradition and renamed the funeral home the C.S. Warthman Funeral Home. 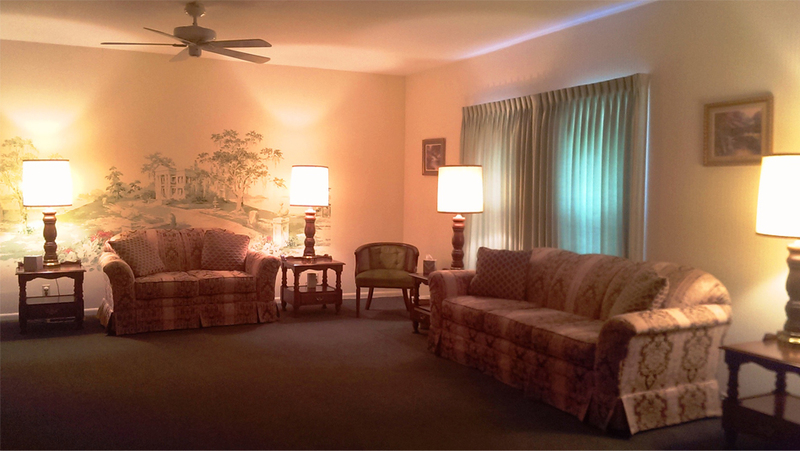 After Sax’s death in 1982, Connie continued the expansion of the funeral home with the addition of a second floor for living space and the remodeling of the downstairs into all funeral home use. She tore down the old garage and built a new four stall garage with additional storage space. In 1991, the Sammons residence at 8 Putnam Street, behind the funeral home, was purchased and torn down for additional parking. The interior of the funeral home continued to be updated with new wiring and plumbing, tearing down walls to enlarge the chapel and the relocation of the casket selection room. 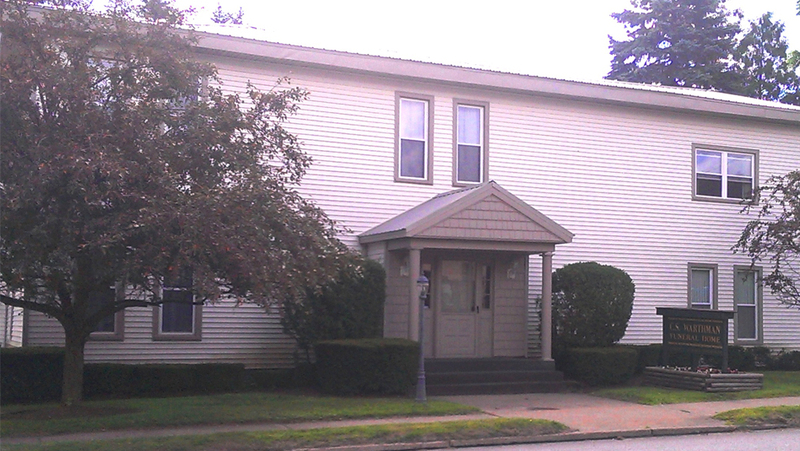 In 2011, the exterior of the funeral home was updated with new siding, new roof, new handicapped ramp and entrance, and paved parking for the disabled. In July 2010, Gordon R. (Gordy) Schmidt joined the funeral home as the licensed supervisor. March 2013 saw the incorporation of the funeral home and the addition of another generation to the business. Steve P. (Steve) Miller, Connie’s grandson, became the Secretary/Treasurer of the C.S. Warthman Furneral Home, Inc. With the nucleus of Connie as president and principle owner, Gordy as vice-president and supervisor, and Steve as Secretary/Treasurer, the funeral home will continue to serve the community for many years in the future. Connie was born and raised in Erie and graduated from Academy High School. While at Academy, she served as editor of the school newspaper, the Academy “Star” and played on the basket ball & softball teams. She received her Bachelor of Arts degree in Political Science /History from Edinboro University of Pennsylvania and did graduate studies at Penn State University. Connie spent 10 years in family and youth counseling before moving to Union City. 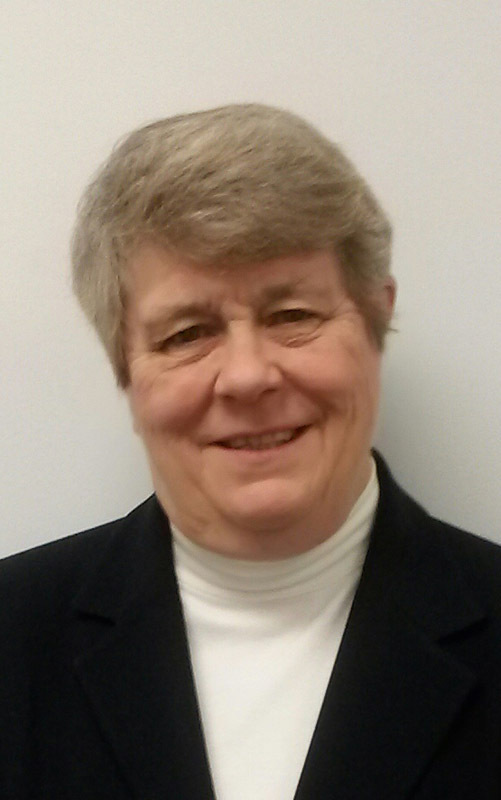 She has been involved with the funeral industry for almost 40 years, the last 36, as owner of C.S. Warthman Funeral Home, Inc. where she oversaw its expansions, renovations, and incorporation. She retired from the US Navy Reserves after 23 years of service in the Public Affairs Office. She is a member of St. Teresa's Catholic Church where she served on the Auditorium Committee for many years. She has been active in the community as Past President of the Union City Chamber of Commerce, past Board Member of the Union City Senior Center Co-Op, Past member of the Union City Hospital Board of Incorporators, a 45 year member of the Civil Air Patrol, and a life member of the Penn State Alumni Association. She is also an avid golfer, having won the Corry Women’s City Tournament and the Corry Country Club Women’s Championship on several occasions. She continues to play golf in Union City and Corry. 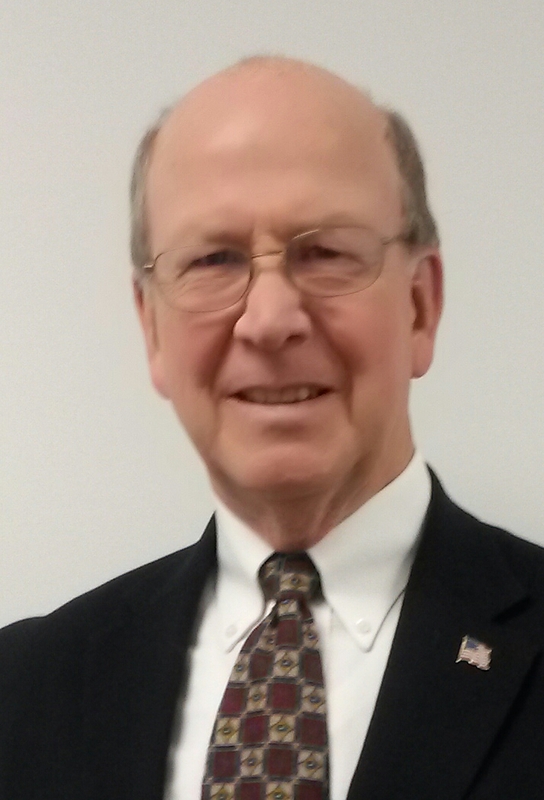 Gordy, a second-generation funeral director, joined the C.S. Warthman Funeral Home, Inc. in July 2010. Born and raised in Erie, Gordy graduated from Academy High School, where he was a member of the Water Polo and Swim Teams. Gordy earned his Bachelor of Science degree in Aero Space Engineering from Penn State University. Following graduation he worked for The Boeing Company, Helicopter Div. in the Aerodynamics and Flight Test Department. Returning to Erie he was Assistant General Manager for PrescoTech. Inc. specializing in Industrial Packaging Design & Sales. He attended Pittsburgh Institute of Mortuary Science, graduating with a degree in Funeral Serve Arts and Sciences and an Associate in Specialized Technology Degree. Following graduation he joined the family funeral home, retiring from there in June 2010. Gordy is a member of First United Methodist Church of Erie, Eric County Aquatic Hall of Fame and Lawrence Lodge No. 708, F & A.M., past member of Penn State Alumni Council, past president and member of the Penn State Erie Alumni Association, past president of Presque Isle Rotary, Sales & Marketing Club of Erie and past Board Member of The Erie Playhouse. He is an Eagle Scout, three time YMCA National Diving Champion and has coached Diving at McDowell High School for 18 years before joining the coaching staff at Penn State Erie as current Diving coach for 11 years where he earned Diving Coach of the Year 4 times. Gordy is widowed and the father of five daughters and seven grandchildren. Steve was born and raised in Union City. He is a graduate of Union City High School where he lettered in football, basketball and baseball. He graduated from Penn State Behrend with Bachelor of Science degree in Mechanical Engineering and his Master’s degree there in Business and Finance. While at Behrend, Steve lettered in baseball for four years. He is a member of the Penn State Alumni Association and St. Teresa’s Catholic Church. Steve, like his grandparents, is an avid golfer and is a member of the Wednesday men’s’ league at Riverside Golf Course. If you would like to know more about us, call our office today.